It’s true. 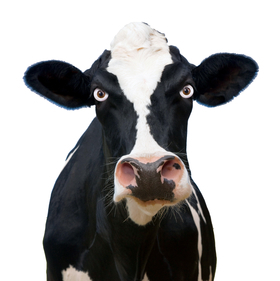 “An almond doesn’t lactate,” as Food and Drug Administration Commissioner Dr. Scott Gottlieb posited recently at a Politico event, where he suggested his agency might start cracking down on products labeled “milk” if they don’t originate from a creature that moos. So goodbye soy milk, hello soy juice? But, Outliers pondered, the possibilities don’t stop there. What other foodstuffs couldn’t pass the moo test? Peanut butter, for instance. Or almond butter, cashew butter and apple butter. Care for a peanut paste and jelly sandwich? Some almond mash to add to that cookie recipe? And then there’s soy cheese; should it be called rubbery soy substance? And don’t get us started on turkey bacon. As far as the milk contretemps goes, Gottlieb said the FDA would soon be issuing some kind of guidance on the labeling issue, and public comment will be sought. Of course, that would be just fine with Big Cow, otherwise known as the National Milk Producers Federation, which has been crusading on this topic for decades: “Defending real dairy products against imitators has been an ongoing focus of NMPF since early in the 20th century,” its website says. Sen. Tammy Baldwin (D-Dairy State) has even introduced the laboriously named legislation: Defending Against Imitations and Replacements of Yogurt, milk, and cheese to Promote Regular Intake of Dairy Everyday Act, which naturally has the acronym DAIRY PRIDE Act. The Wisconsin senator is also perturbed by other edibles laying claim to appellations once reserved for bovine products: “Although existing federal regulations are clear, the FDA has not enforced these labeling regulations and the mislabeling of products as ‘milk,’ ‘yogurt’ and ‘cheese’ has increased rapidly,” a news release about the legislation declared.